TPC2005 (now in an amended 2008 edition) is the first standard form Term Partnering Contract and was developed in response to considerable demand for a new approach to the procurement of term works and services. Launched by Sir Michael Latham, it applies the radical ideas in PPC2000 to a single multi-party contract that is the foundation and route map for partnering in term contracts. 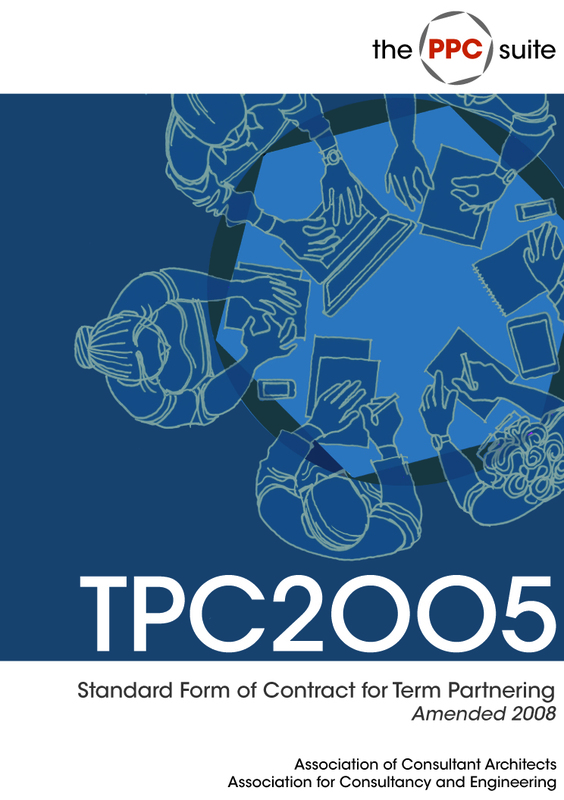 This IntroductiontoTPC2005, by Trowers & Hamlins outlines the key features of TPC2005 and includes sample pages for you to browse. It uniquely gives an alphabetical index of TPC2005 and STPC2005 clauses and where to find them. Introduction to Pricing under TPC2005 and STPC2005 .Written by ASG User Group members for users of the contract, this new Pricing Guide has been written to help Clients, Service Providers and Consultants understand how to structure and implement pricing under the TPC2005 and STPC2005 forms of Contract. This guide clearly explains how to maximise the opportunities under TPC2005 to create clear pricing strategies and achieve value for money. Covering fixed price to Open-Book and everything inbetween, an understanding of these pricing mechanisms allows users of the contract greater confidence in adapting the contract over a variety of projects.